But LCD is not for math alone. It's one of those concepts that serves as a great literary device in describing the point where two similar, but different, entities find common ground. For example, runners come in various shapes and sizes. We have different motivations and goals. And when it comes to techniques, accessories, shoes, training plans .... again, different strokes for different folks. But aside from perhaps the commitment to discipline, one of the more obvious lowest common denominators between runners is that of being curious. In other words, most runners that I know, have a great curiosity about the sport itself, about inspirational stories, about races and results, about their own limits. 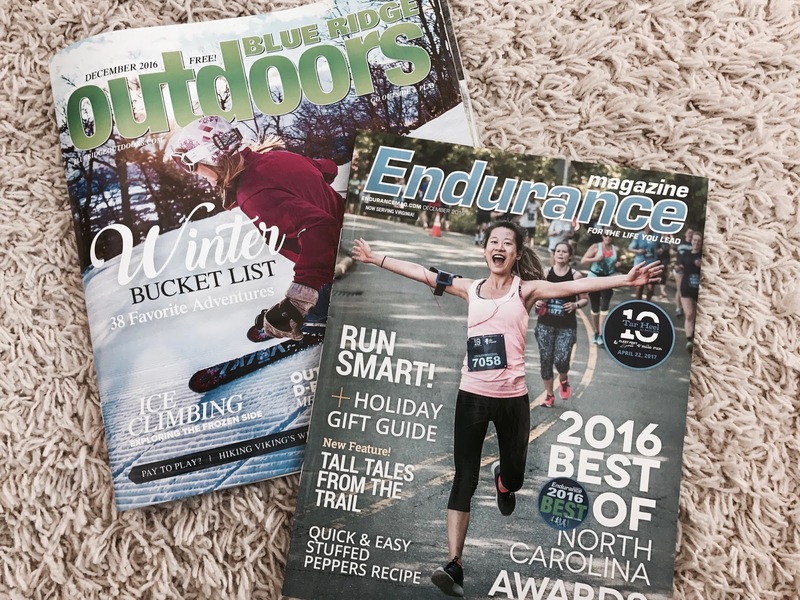 To quench this curiosity, I find that many of us share a genuine interest in reading about all things running. That said, over the past week I have picked up the above pictured magazines. They have some really great articles, and despite the title, Blue Ridge Outdoors, I found several running related pieces included. Best of all, not only were they well-written, they were FREE! Located where one might normally find the weekly auto trader or community periodical - you know, near the entrance of many restaurants and retail spaces - there they were, racked and stacked. So, keep an eye out next time you visit the Waffle House (oops, I'm giving away my training secrets), er, the Salad Shop, and you'll hopefully find some good insight on running and exercise. But most of all, stay curious!